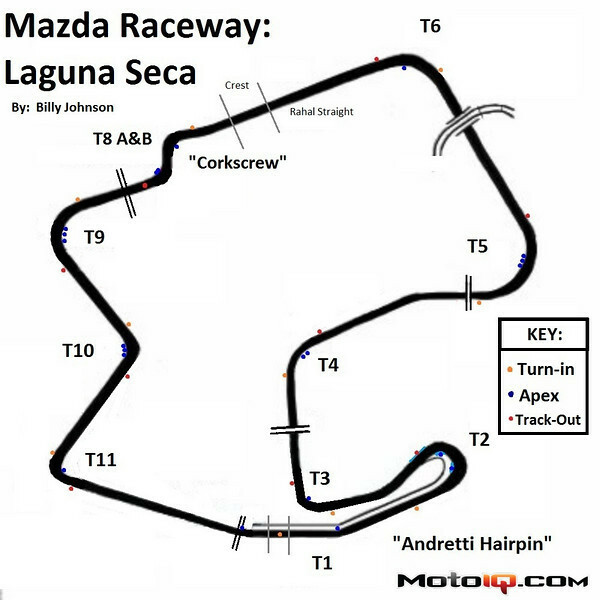 Mazda Raceway Laguna Seca, previously known simply as “Laguna Seca” was built in 1957 on the land of Fort Ord; which was a maneuvering area and artillery target range for the US Army. 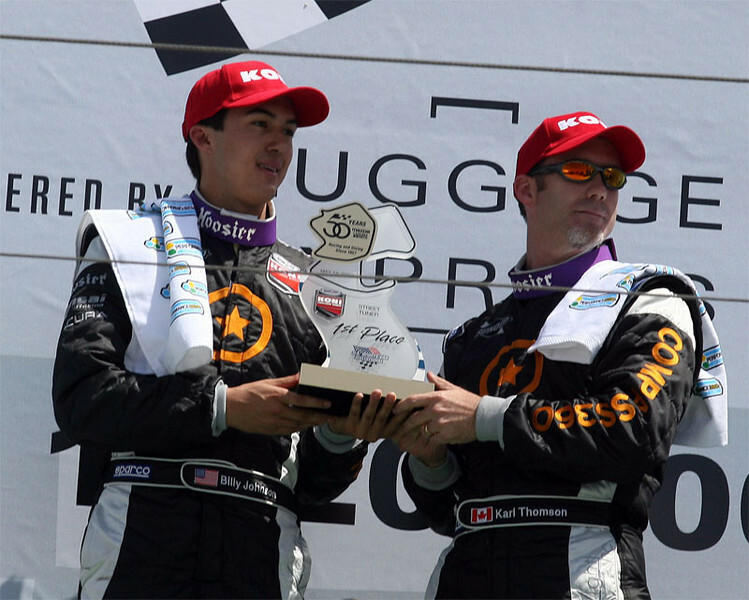 World-renowned (by the help of Playstation video games for the younger generation), the track has hosted Champ Car, ALMS, Grand-Am, Moto GP, World Superbike, Formula 5000, Trans-Am, Can Am, and has been the site for several very memorable races. In 1988 the track was increased to its current 2.238 mile, 11-turn configuration with 300 feet of elevation change and the world-famous “Corkscrew” Turn 8. In recent years, the walls have been pushed back in Turns 1, 6, the “Rahal Straight”, and turn 9 with significantly more run off room and a more gradual crest approaching the Corkscrew. New FIA curbing was introduced as well as giant red “bread boxes” at every apex to deter drivers from straight-lining corners and dropping tires in the dirt. 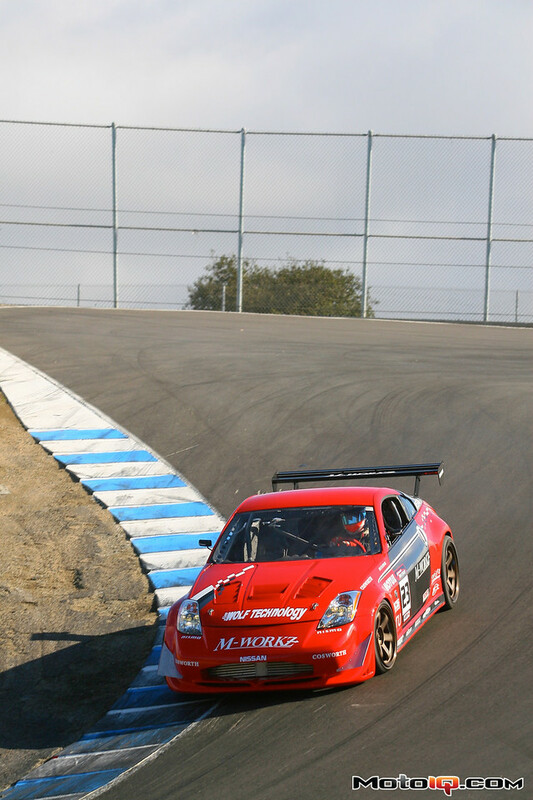 With a billiard smooth and a notoriously slick racing surface, Laguna Seca has become world famous for its signature “Corkscrew” and a configuration that makes for exciting racing. After driving many of the tracks in North America, I would have to call Laguna Seca my home track and one of my personal favorites.